"I mistakenly deleted some files from my unrooted Android phone as there was not enough storage space left out for storing new data. I really want those files back. Please suggest me a way on how to recover lost files from unrooted Android OS. Thank you very much in advance..."
You might have deleted the Android files when your device is connected to the computer instead of deleting those files from some other folder or drive. If you have formatted an unrooted Android device, chances are the information about where the files are stored, what are the functions that can be performed on those files etc., have been erased. You might end up with the deletion of entire data from an unrooted device. If you have performed the factory reset on an unrooted Android, you might have lost all your data without having any backup of deleted files. If you are wondering about data recovery for android no root, then this article is written for your help. Read on and follow the directions explained in this article. 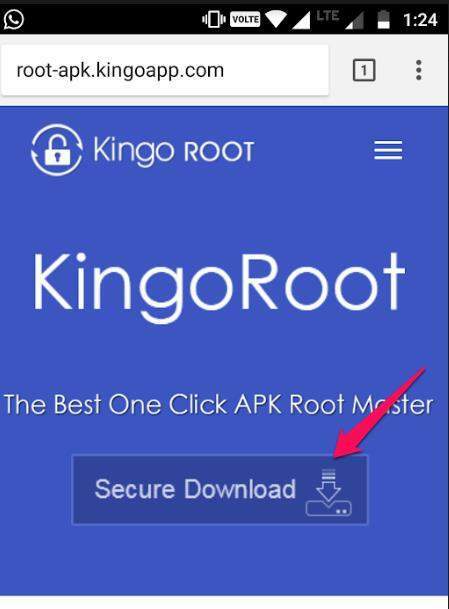 Part 1: Is it Possible to Recover Deleted Files Android without Root? Part 3: How to Recover Deleted Text Messages without Root via UltData for Android? Part 4: How to Recover Deleted Files from Android SD Card? Why Android Recovery Software Needs Root Access? Android has implemented certain restrictions on their devices to prevent virus and malware attacks, that's why most Android devices use an MTP protocol which says that users cannot interact with the device on an advanced level. But in order to recover lost files, an application needs root access to interact with the device on an advanced level as well as has to interact with the storage unit of the device (the hardware). Using Google backup is the most convenient way to backup & restore your deleted Android files, which offers 15 GB of free storage space. 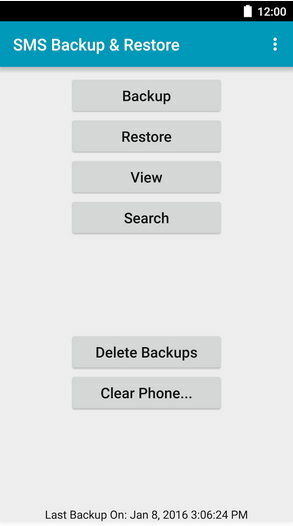 You don't have to root your device to backup and restore data from Google Drive in case you have deleted Android files accidentally. The only thing you need to make sure is that turn on "Auto Backup" to Google Drive. To restore the lost data on your Android device, you need to first log out from your Google account. Now add your Google account again. 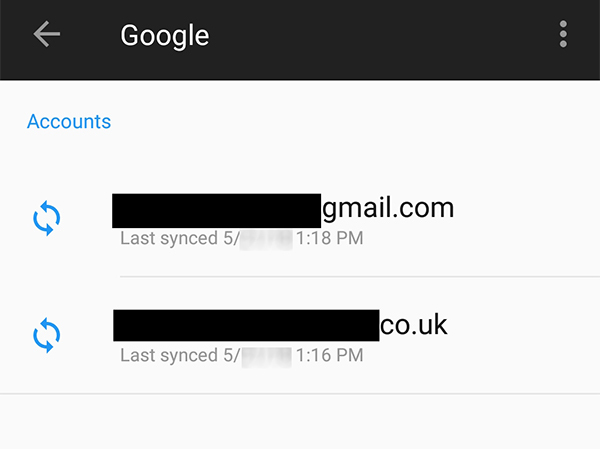 The Google account will ask you if you want to sync your Google drive data to your Android device. When you select yes, most of your lost data will be restored on your Android device. There is one drawback of using Google backup that it offers to restore only selective data, i.e. part of your files are restored. Though we are using other apps like WhatsApp, Facebook Messenger, Snapchat etc. more for messaging other than standard text messages on our phone, still there are some messages from our doctors, companies, or other document related texts that are conveyed using our number and are saved on our phone's text messages memory. These messages are still valuable that we cannot lose them. We have the best solution for you to recover deleted text messages android without root with Tenorshare UltData for Android. Within a matter of minutes, it can bring back your lost text messages. Step 1 Download and install Tenorshare UltData for Android on your computer. Launch it on your screen and connect your Android device with the computer. Step 2 To recover deleted texts android without root, this step plays an important role. This screen will guide you on USB debugging. Step 3 The pop-up window for "Allow USB debugging" requires you to click "Ok" after which your device will be scanned. Step 4 Now select the files you want to recover. Choose the tab "Messaging" to recover your lost messages. Click Next. The sms recovery android no root will take only a few minutes to complete. Check the "Messages" that you want to retrieve and click "Recover". If you have lost those files from your SD Card, don't worry, we can still solve this problem. This time the problem involves your SD card that has stored all the files of your Android device. This means the storage is in the external memory of your phone, i.e. the SD Card. Remember not to overwrite or format the data in your SD Card, otherwise, you'll lose your files permanently. We can do this using Tenorshare Any Data Recovery.software. It is one of the best data recovery tools that bring back your lost data including messages, contacts, photos, videos, and other important files from Android. This program has proven to be best until now because of its highest recovery rate. Those trying to get their lost data back, this tool is worth having for them. Step 1The screen will prompt you to select the location of the deleted files. Hit "Scan"
Step 2When the scanning is done, the screen will display all your recovered files. Preview and select "Recover". Step 3 The software now will ask you to select the storage destination path on your computer. You have now successfully recovered android files from SD card. In a nutshell, the user-friendly interface of Tenorshare Any Data Recovery allows the user to retrieve their lost files back from an unrooted device without any hassle. Moreover, data recovery is now possible without rooting with the advancement in Android versions.